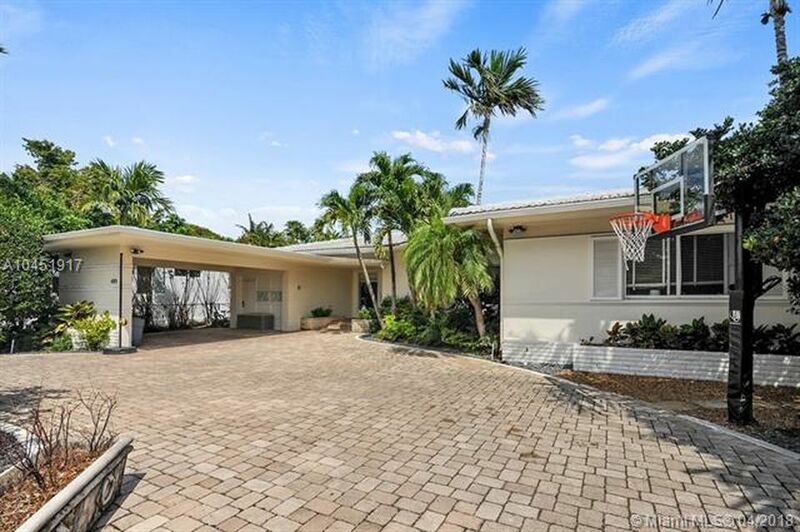 Adam Bergman – President of the IRA Financial Group & IRA Financial Trust Company, the leading provider of Self Directed IRA and Solo 401(k) Plans, is excited to announce that he has listed his Miami Beach home for $3.2 million and will accept cryptocurrencies, such as Bitcoin. Mr. Bergman’s house is located at 4501 Nautilus Drive in the heart of Miami Beach. The house is a classic MiMo style home offers the perfect floor plan for today's modern lifestyle. The indoor and outdoor living is complete with a beautifully designed open floor plan, sliding hurricane-impact doors open onto an expansive outdoor entertaining area with a pool, summer kitchen, and a 13,800 square foot lot going street to street, Nautilus Dr. to Michigan Ave. With a spacious gourmet kitchen, high ceilings throughout. The listing agent for the house is Vicki Miller of Caldwell Banker. IRA Financial Group & IRA Financial Trust Company has partnered to offer a total control private key Bitcoin IRA LLC platform for cryptocurrency investors. With IRA Financial Group’s private key crypto solution, the retirement account holder have total control over his or her cryptocurrencies and can hold them through an exchange or via a digital or hardwallet. No need to pay commissions and account value fees to IRA custodians, with IRA Financial Group’s “Wallet Control” IRA one can take control of their cryptocurrencies. IRA Financial Group’s self-directed IRA LLC allows one to use their retirement funds to make Bitcoin and other investments tax-free and without custodian consent. Mr. Bergman is a frequent contributor to Forbes.com on various topics involving retirement accounts, including the taxation of cryptocurrencies, and has been quoted in over one hundred major news publications on the area of self-directed retirement plans. Mr. Bergman has been interviewed on CBS News and has been quoted in Businessweek, CNN Money, Forbes, Reuters, NY Post, Dallas Morning News, Daily Business Review, Law.com, San Francisco Chronicle, U.S. Tax News, the Miami Herald, Bitcoin Magazine, Bloomberg, Arizona Republic, San Antonio Express, Findlaw, Smart Money, USA Today, Houston Chronicle, Morningstar, and American Lawyer on the area of retirement tax planning. Adam Bergman, IRA Financial Group partner, has written seven books the topic of self-directed retirement plans, including, “How to use Retirement Funds to Purchase Cryptocurrencies, “The Checkbook IRA”, “Going Solo,” Turning Retirement Funds into Start-Up Dreams, Solo 401(k) Plan in a Nutshell, Self-Directed IRA in a Nutshell, and in God We Trust in Roth We Prosper.